It is "Odaiba beach park". 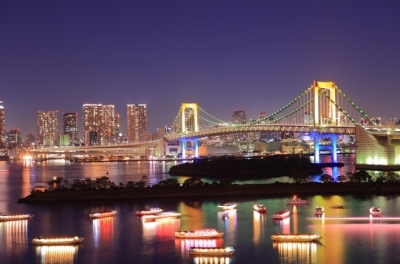 It is a park where the rainbow bridge of the symbolic existence of Tokyo looks beautiful. Every one is a really beautiful view. This is the view I would like you to see if you came to Tokyo. In the vicinity of the beach park "Ikayaki stand" called "squid grilled"
There is a fancy restaurant. Each can be eaten at a reasonable price of 300 yen to 400 yen. 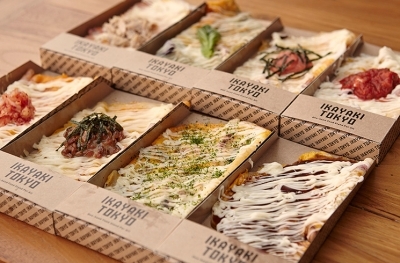 By the way, the taste is particularly popular with Mentaiko Mayonnaise taste. It is just right to fill the stomach lightly at "Seaside Park" by taking out. And if you have more time, there is a recommendation if you go to Odaiba. That is going to the National Museum of Emerging Science and Innovation. It is a large facility where you can enjoy and experience all kinds of scientific research and other learning. There is screening and demonstration of Humaroid robot. You can see the screening at an additional fee. Restaurants and museum shops are also available. The seventh floor viewing restaurant is beautiful with the view from the Odaiba to the Tokyo Tower. There is a popular campground. Why do not you spend it? It is good to play in the sea, and there is also a popular pool. Supermarket is also convenient camping place which is near and there are abundant rental equipment. 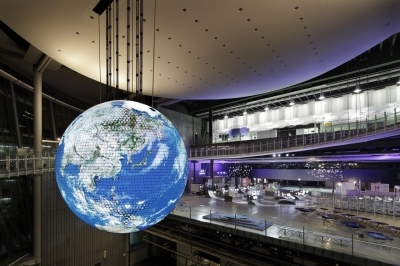 We recommend you a trip that you can enjoy from Odaiba to Chiba.